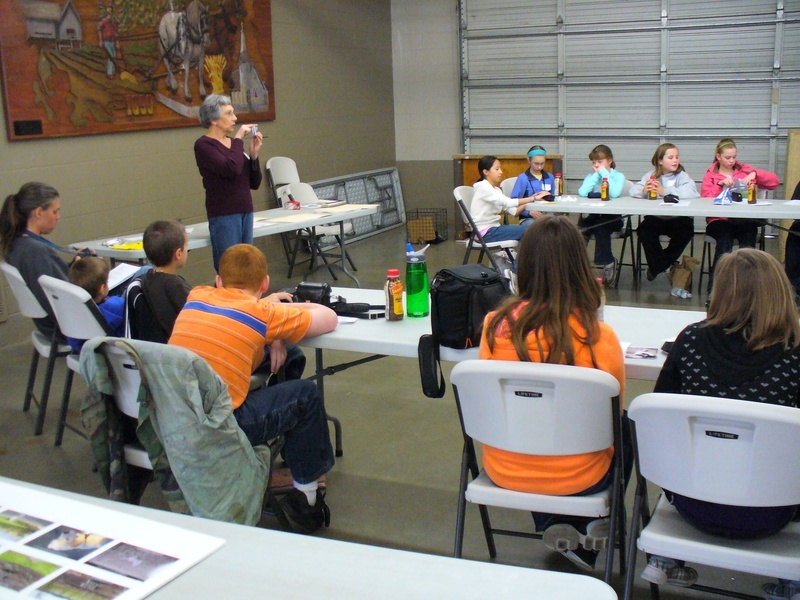 The Whatcom County Youth Fair is a 2-day learning fair. It is not necessary to belong to any club or organization or to own an animal, but it is advisable to bring your own. Listed below are brief descriptions of the various divisions that make up the WCYF. In most instances the division superintendents will contact you after your entry is received to inform you of what, if anything, to bring to the Fair. Alpaca/Llama: Come learn how to handle your Llama or Alpaca with a special training session. Then, practice taking your animal through the obstacle course. Learn the 4-H way to show in the show ring. Learn public relations, packing techniques, general health care, and lots more! Beef: In the beef division, you will attend a clipping clinic and a fit and show clinic followed by hands on practice. After final clipping and fitting, you will show your animal in the ring. Animals must be over 3 months of age, no horns, and clean but preferably not clipped. Cats: The cat schedule includes getting to know each other and decorating cages. Following this you will have an opportunity to learn how to prepare your cat for showing and practice fitting and showing. Other activities may be a poster making contest, cat safety, and first aid. Cat exhibitors must present proof of vaccination of the following by licensed veterinarian: Panleukopenia, feline rhinotrachetis, calici viruses, a combination shot, & feline leukemia. Cavies: In this division you will learn about different breed characteristics, care, housing needs, and health care. There will also be small animal judging, and of course type and fit & show classes. Chess: Here is your opportunity to enhance, strengthen, or learn about chess. This class is open to all ages and skill levels. Over two days you will learn everything from setting up a chess set, to keeping notation in a chess tournament. Your knowledge will be tested with a mini chess tournament. It is going to be a blast! Clowning: Here is a chance to be a clown! You will learn the art of performing, making up your clown face and doing the fun things clowns do to entertain people. Country Crafts / Horticulture: If you want to learn about seeds, plants, gardens and crafts with a country motif, then you’ll enjoy the Youth Fair Country Crafts and Horticulture Division. It’s springtime and this is just what you need to get ready for planting. You will also learn how to identify plants, judge vegetables and plants, and do floral arranging. Dairy: Whether you are a novice or an advanced dairy show-person, the dairy division has classes on clipping, showing and judging. There will also be other fun and educational classes as well as fit & show and type contests. Dogs: The dog division has a busy two days of obedience and sociability training along with several dog demonstrations and a talk by a local veterinarian. All Dogs must be over 6 months age, have a rabies certificate dated within 36 months, and be current on all vaccinations. Please bring proof with each dog. Entrepreneurship: Would you like to start your own business? Here is a chance to learn about thewhole process: marketing, bookkeeping, etc. You will have an area to set up a booth to sell your product or service. Goats: In the goat division, whichever type you have, you will learn about your goat’s proper care, grooming and hoof trimming. There will also be fit & show clinics and a fit & show contest. All goats (wethers exempt) will be required to have scrapies ID (microchip or tattoo) with flock number. Call Tammy or Amanda for more information. Homemaking: Cooking, sewing, and homemaking skills. Horse: An exciting two days of horse related sessions for all areas such as tack care, judging,practice groom squad, basic vet care, and fitting and showing at halter are planned. Please do not bring your own horse. For the safety of the exhibitors quiet horses are provided for the youth. No riding. Knitting: Here’s your opportunity to learn the basics of the wonderful, fun, and ancient art of knitting. Create a variety of “fabrics” using different yarns and needles. You’ll learn to do the knit & purl stitch, cast-on, bind off, and go home with at least one small useful project and sample swatches. Equipment will be provided. Lawn Mower Pull: Bring a riding lawnmower if possible and learn the ins and outs of tractor sled pulling, rules & regulations, how to keep your mower running, and how to have fun competing with your lawnmower. Livestock Judging: The Livestock Judging Division is new this year! We will learn to evaluate beef, cattle, sheep, swine and Boer goat more effectively. Then, we will take an in-depth look at oral reasons. We will only meet on Friday, so please indicate the division of choice that you would like to attend on Saturday. The division is perfect for those that want to become more experienced judges and have set goals of making the county or state livestock judging teams. DIVISION IS NOT AVAILABLE THIS YEAR, BUT THE CONTEST IS STILL ON. Photography: Camera basics. Photography crafts. Picture scavenger hunt. Photo judging. Photo mounting and framing. You’ll learn all this and more in two fun days with the Photography division. A digital camera is preferred if available. Poultry: Basic instruction on the healthcare, identification, and raising of quality poultry will be covered. Learn how to select and order poultry along with equipment and nutrition needs. You will also attend a fit and show clinic and get hands-on experience. Wrap up the second day with type and fit & show classes. Rabbits: In this division you will learn about different breed characteristics, care, housing needs, and health care. There will also be small animal judging, and of course type and fit & show classes. Rodeo: Introduction to Jr. Rodeo and its events. Hands-on goat tying, learn to throw a rope, basics of riding a bucking barrel. There will also be demonstrations of horse events, pole bending, bull riding, and an introduction to Ranch Rodeo. Round Robin, Large animal: The round robin clinic is designed for the experienced showman. Friday you will fine-tune your showmanship in the Horse, Dairy, Beef, Sheep, Swine, and Goat divisions. That afternoon you will compete in a Round Robin showmanship contest. Saturday morning you will finish the Youth Fair with the division of your choice. Sheep: This division is a hands on learning environment, instructing youth in fitting and showing and encouraging them to be knowledgeable herdsmen. Our department will be obligated to abide by the new federal regulations with regards to official identification (scrapie tags) of all sheep, except castrated males (wethers) and those going directly to process channels. For any questions regarding the federal program, please call 360-902-1878. 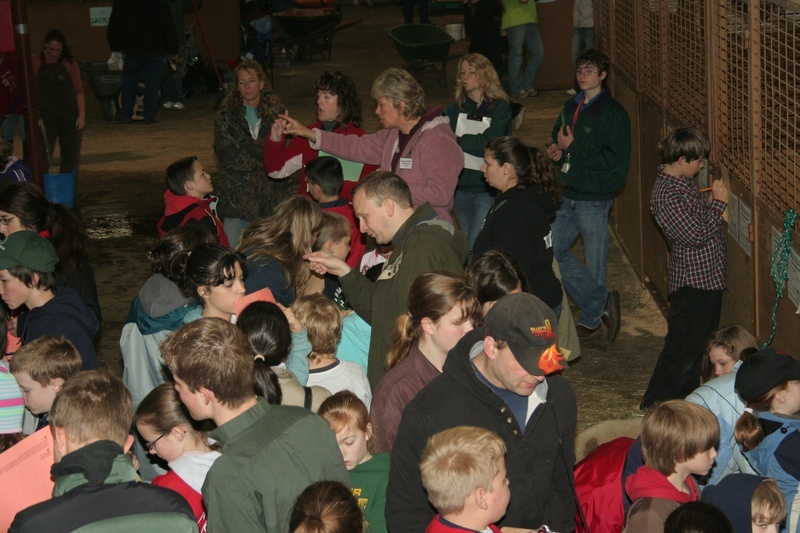 Swine: In the swine division you will attend fit & show and type clinics followed by hands on practice. You will also learn about different breeds and how to select a market animal. Please bring an animal if possible! We recommend erysipelas vaccinations for all swine. Teen Leaders/Teen Management: If you enjoy working with people and animals, you will enjoy being a Youth Fair Teen Leader/Manager. 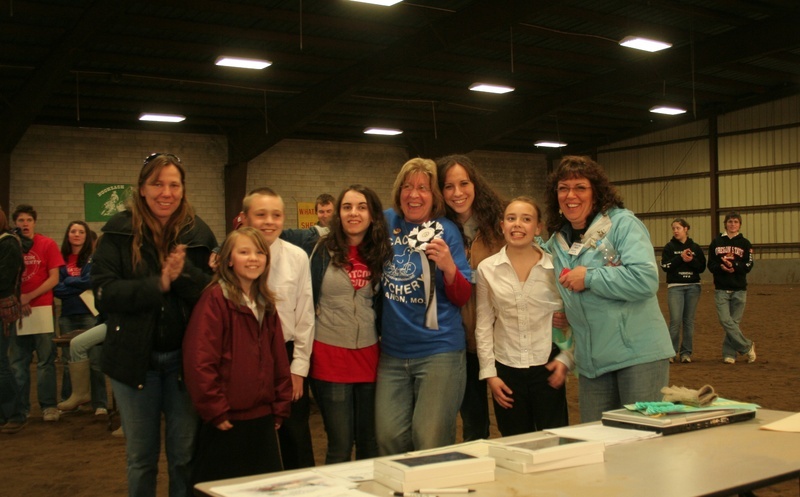 From serving as hosts and guides to exhibitors and parents, and learning the ins and outs of running the Fair as a Teen Manager, to working with “Supers” in a specific division as a Teen Leader, Teen Leaders and Managers play a vital role in making the Fair a success, as well as becoming future leaders of the WCYF. Woolcrafts: Fleece from animal to project. Learn the techniques of carding, drop spindle, hand spinning, felting, weaving, and dyeing from the wool-crafts division. Equipment will be provided. Weaving: In this extension of Woolcrafts, students will use various yarns to weave small projects on different styles of looms. You will learn basics of warping a loom and methods to weave sound, attractive projects. Must be between ages 11 and 18. Equipment is provided. Awards Ceremony: All exhibitors and adults should plan on attending the awards ceremony Saturday afternoon. Many awards will be given, including the Rich Waldemar and Bob Veenstra Inspirational Awards, the Washington State Fairs Association award for best division, top youth awards, and recognition of the many volunteers who make the youth fair work. Livestock Judging Contest: This is an official judging contest for our county! If you are a regular livestock-judging contestant or are new to this experience you are welcome! We will be judging beef, sheep, swine and goats (if available) Saturday morning. Meet at 8:00 in the Light Horse barn arena. 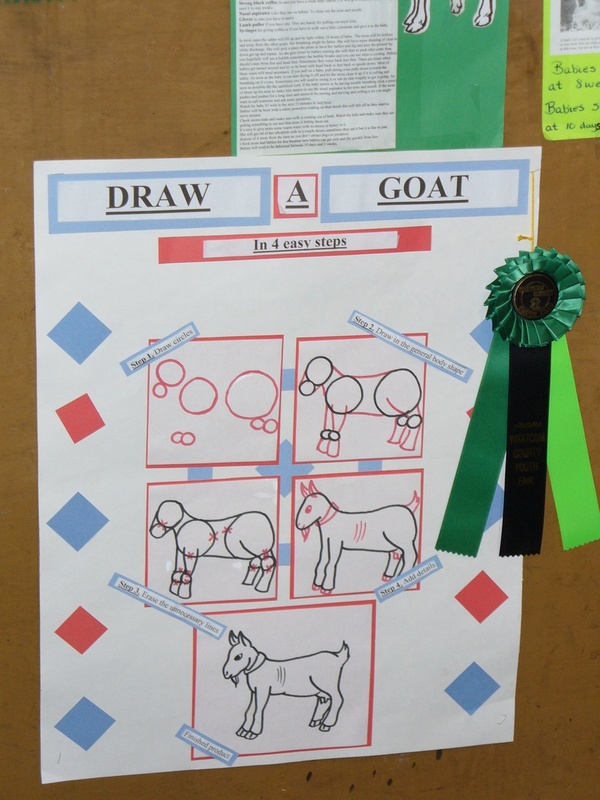 Posters & Charts: All entrants to the Youth Fair are encouraged to enter posters in the Poster Division. The posters will be displayed throughout the barns and serve as educational material for WCYF visitors. All posters will be judged and receive a note from the judge. See the general rules for poster and display requirements. Project Animal Consignment Auction: Friday at 5:30, quality starter project animals will be auctioned to youth interested in acquiring a project animal. Catalogs and details available at the Youth Fair or from Larry Stap, 354-4105. Mark Stap Memorial Grant applications are due April 1, 2010. The Mark Stap Grant money is for use in the purchase of a sale animal. Silent Auction: Look for the auction in the horse barn. It will be open 10:30 to 5:00 on Friday and from 10:00 Saturday until the final bids are taken at 2:00. All proceeds from the auction help put on next years Youth Fair. To donate items, please contact Jeff or Kathie Peterson, 354-5978. 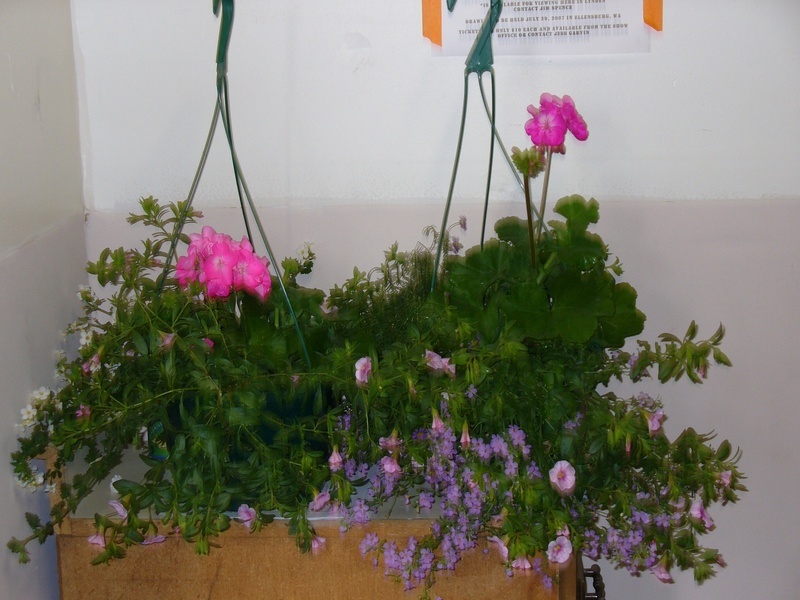 Hanging Basket Sale: Help support the Youth Fair by buying a beautiful hanging basket from VanWingerden Greenhouses. See order information on entry form. Please pick up baskets on Friday if possible. Group orders should be arranged through Jean Laird, 255-1927. Jay Paul Scholarship: The Jay Paul scholarship is open to Whatcom County high school or college students for studies in an agriculture related field. Can be tech school, community college, or a 4 year program. Applicants must have been a Youth Fair participant. Mark Stap Scholarship: The Mark Stap scholarship is open to all High School Seniors going to college, that have been a participant in the Youth Fair for 5 years or more, with at least one of those years as a Teen Leader or Superintendent. Applicants do not have to be Whatcom County residents. 4-H Public Presentation Makeup: If you have missed giving a public presentation in Whatcom County this is the chance to do it. For more information call the Extension Service at 676-6736.